July was a challenging month for Seattle’s condo market with a downward pressure on prices despite improved sales. The median citywide sales price of $255,000 reflected a 12.07% decline compared to last July, but increased 3.7% over June. While most neighborhoods saw double-digit decreases, the downtown / Belltown area fared the best with only a 0.7% dip, less than a percent. Median sale prices over the past few months have been in line with 2005 price levels. Sales velocity improved from a year ago with the number of pending transactions up 23.1%. The downtown / Belltown area realized a significant increase in condo sales in July, nearly doubling the number of properties going under contract from last year (+48.7%). The results were diverse with sales coming from across a variety of price levels and condominium buildings. Closed sales, on the other hand, fell 6.2% compared to last July. The month-over-month result was more significant with closings dipping 24.9%. The decrease may be attributable to the drop in pending transactions in June (the lag between pendings and closings) as well as short sale failures. The number of active listings continued to hover around the 1,100 mark. That’s approximately 30% fewer available listings for sale compared to the same period last year. At this rate and contemplating seasonal factors, we may hit pre-construction boom inventory levels by Fall. The Seattle condo inventory supply rate dipped slightly to 5.2 months based on pending transactions but rose to 7.9 months based on the closed sales method. 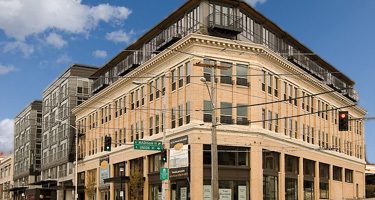 Overall, the Seattle condo market reflects a neutral to buyer’s market environment, though some neighborhoods like Belltown exhibit neutral to seller’s market conditions. The trends in Calgary also indicate that the condominium boom of the last few years in Canada will continue to spread into more and more areas in our cities. According to the Calgary Herald there have recently been at least four applications put forward for residential towers in the downtown area of Calgary. However, in spite of positive economic indicators there have been some doubts about the development of interest rates which could halt the current trend as well as the recovery of the national economy.